When Melissa “Missy” Malkush (’06) is fitting an artificial limb on an earthquake survivor in Haiti, a land mine victim in Thailand or a diabetic in New York City, she flashes back to David Finn’s art class at Wake Forest. A pre-med student, she was searching for how to combine her lifelong interest in medicine with her passion for art. When she took Finn’s “Bodies and Objects” sculpture class, she discovered how she could mold medicine and art into a promising career. She’s gone from sculpting the human body in an art studio to sculpting and fitting arms and legs for those who have lost limbs to disease, injuries or birth defects. Since graduating six years ago, she’s volunteered to help amputees in Thailand, Haiti, Belize and Guatemala. She first saw how valuable her skills could be in developing countries when she volunteered in a clinic in Guatemala while she was in graduate school at Georgia Tech. “This was the first time I was able to use my skills outside the classroom,” recalled Malkush, who is certified in prosthetics and orthotics. “I got hooked on the feeling of truly being able to help people. 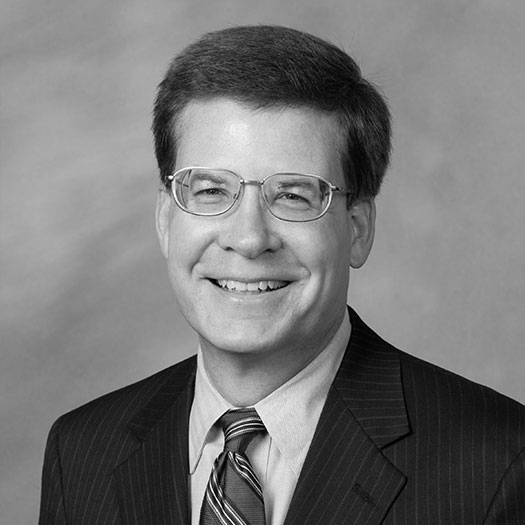 For the first time in my life, I was knowledgeable in a specialized trade” that could help people. Click to see more photos and read Missy Malkush’s blog from Thailand. 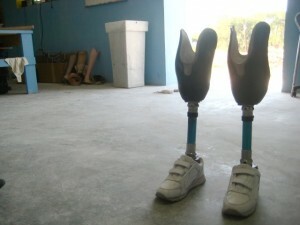 After receiving her master’s degree in prosthetics and orthotics from Georgia Tech in 2008, she volunteered at Project Hope, the only prosthetic and orthotic clinic in Belize. The next year, she and a friend, Rachel Clagett (’06), who was pursuing a doctorate of physical therapy at the University of South Carolina, spent three months in Thailand at a refugee camp run by Clear Path International. Upward of 150,000 ethnic Karen refugees have fled neighboring Myanmar (also known as Burma) during two decades of fighting against the country’s former ruling military dictatorship. Malkush brought with her 10 “off the shelf” artificial hands to fit on men who had lost one or both hands and their eyesight because of injuries suffered while trying to remove land mines in the Karen section of Myanmar, one of the most heavily mined areas in the world. The work and working conditions were difficult, dirty, emotional and sometimes dangerous, but rewarding as well, she said. “Some of these men have had to have someone bring a spoon to their mouth for years. To be independent and eating on their own” is a big step for them. In 2010, following the devastating earthquake in Haiti, she spent a week there volunteering at a prosthetics clinic run by Mission of Hope. Using donated components she brought with her and designing and fashioning other parts herself, she made and fitted legs for three children and two adults. Malkush now works with diabetic patients on Long Island, near where she grew up in Shoreham, N.Y. She designs and fits prosthetics on patients who have lost a foot or leg to diabetes and trains them in how to use the their new limb. While she seems to have found the perfect career to match her interests, it was a winding road through college to get there. 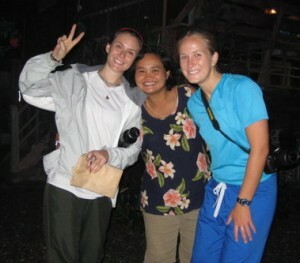 MIssy Malkush (at left) and Rachel Clagett (at right) in Thailand. Malkush would like to volunteer abroad again, but she isn’t sure where her passion for helping others will lead. For now, she’s passionate about spreading awareness about the severe health consequences that can result from diabetes.